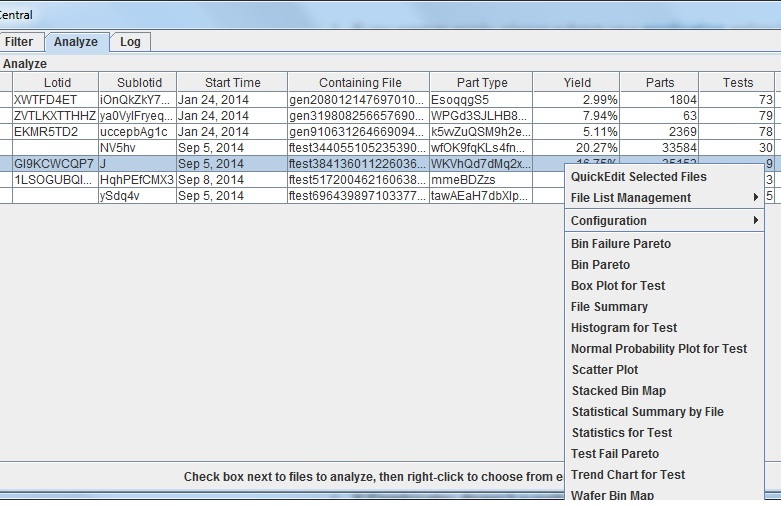 Automatically pre-process all STDF files, translating into standard formats like CSV or XLS. View by lot, date, sublot, waferid, yield, etc. for quick assessment. Edit key fields such as lotid and waferid directly from the dashboard. Create box plots, histograms, Pareto charts, scatter plots, wafer maps, and more. Our STDF tools are used by more than 70 companies, including 9 of the top 20 semiconductor brands. Are you ready for quick, hassle-free access to your STDF data?